The Lounge is a comfortable spot in which to enjoy exciting music acts from Wed – Sun (Live Lounge). The stage has been recently renovated and the standard of equipment is top-notch. 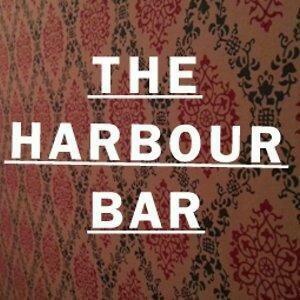 Music has always been important in The Harbour Bar and it is fast becoming an important venue for new music. The lovely Snug is perfect for a quiet pint and a chat. The Bar is full of character; it plays host to traditional Irish music sessions from Wed – Sat. The cosy Backroom is the ideal place for a toastie by the fire and the Upstairs is where to catch an intimate gig. The Harbour Bar has a covered and heated beer garden for those who want to take in the sea air with their pint. The bar was voted “The Best Bar in the World” by Lonely Planet in 2010 and is recognised as a pub with an authentic and fun atmosphere and a passion for good music. Rachael was so accomadating last sat night, and staff were superb as per usual. Amazing service and great craic. Staff always go above and beyond! Great place to bring friends. Fantastic place with nice, dedicated staff and  amazing atmosphere! Excellent service and attentiveness. Special thanks to rachael. I had a brilliant night and all my guests were really impressed with the set up. Rachel was so helpful and friendly and made everything as hassle free as possible. There were other girls there too who were well on top of keeping interlopers out and the whole night went off without a hitch. Fantastic, great atmosphere, staff are really helpful and personable. People commented afterwards about feeling in the centre of atmosphere. Chilled with great staff is my summary. So impressed with the service, ideal setting and atmosphere for our event, would recommend to anyone and will definitely be back! Excellent service from booking and on the night. Staff were very accommodating and were keen to offer me (the pregnant lady) alternatives to the usual soft drinks. I just found that the platters of food were a little expensive but by no means would it put me off. Will definitely be back. Thank you. We held a party there and the staff and service was excellent..! The Manager  Graham was fantastic. Had a fabulous party in the Harbour on the weekend - everything was perfect, well done to all the staff! Excellent service all around. Fantastic staff. Added bonus to have the live music piped upstairs. Thanks you everyone. Fantastic staff who were really helpful and attentive. Thanks so much for a great night! Held a party in the upstairs area of the bar and couldn’t fault the service or the venue. Super helpful staff and the food we ordered from fish bar was delicious too. Great value for money and the live band downstairs added to the evening nicely. Would 100% book again for a party. 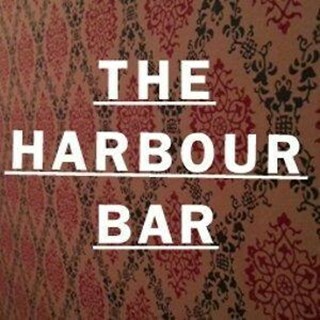 Thank you so much to all the staff at the harbour bar. I booked the upstairs room for a very special occasion, and as always the service was better than perfect. A wonderful, atmospheric bar with super-helpful, friendly staff! Just wanted to say thank you to the whole team there! I made the reservation with Rachel and on the night she had the whole room turned around to perfectly fit the 20 of us. We were so well looked after by both the bar and floor staff. Love knowing that whenever we head down to The Harbour that it’s going to be a great night. Thanks again guys! We had a birthday party upstairs recently and the venue service and food were great.